and owners Cindy & Jim Elliot (Cedar Creek Brewery). 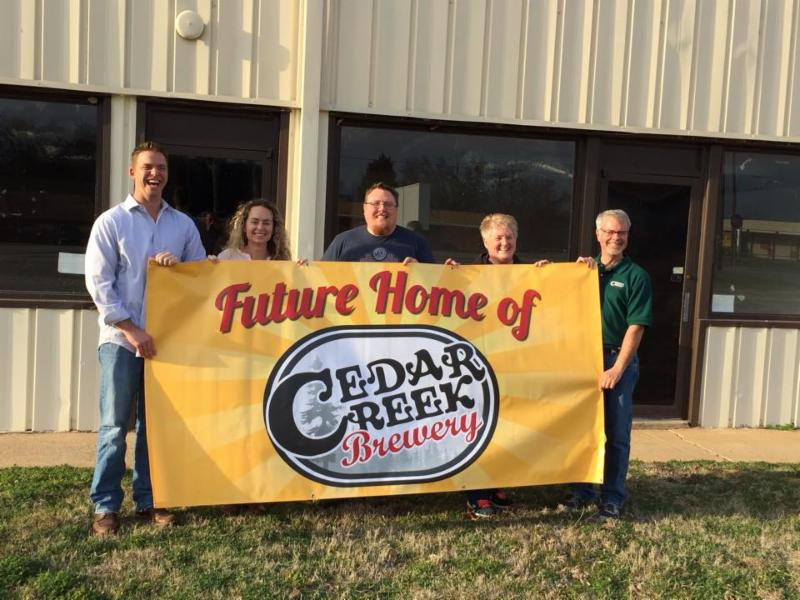 In yet another example of the seemingly unstoppable growth of the craft beer industry in and around North Texas, the Cedar Creek Brewery of Seven Points has announced it is moving operations. According to a press release, with prior year production reaching 1600 barrels and a goal of brewing upwards of 3000 barrels in 2015, the current building is simply no longer adequate. For this reason, construction began this week on a new space at 336 E. Cedar Creek Parkway, just a few doors down from the brewery's current address. 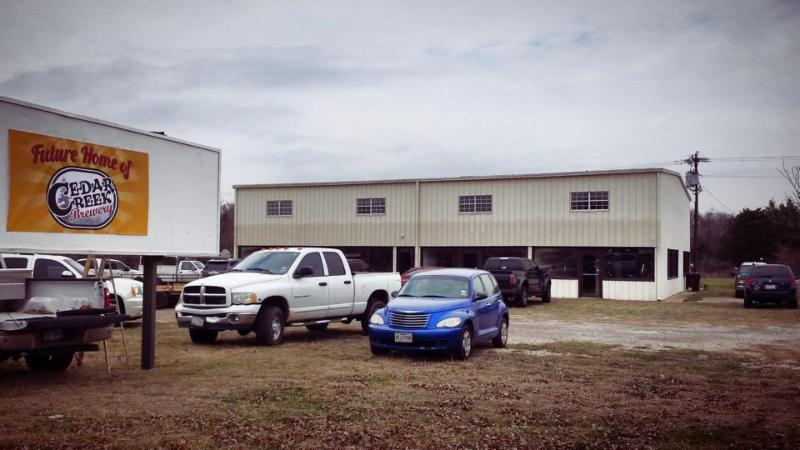 After renovations are complete, the new building will better suit the growing company's needs. In addition, with nearly two acres of land to work with, there is plenty of room for additional expansion. Seen as a weekend destination for locals and out-of-town visitors, the brewery's current taproom has become a popular hangout since Cedar Creek opened in the summer of 2012. The new location will provide a better interior layout, with more restrooms and an expanded bar able to accommodate 16 taps. Not only that, but the brewery's biergarten is expected to triple in size and there are even plans to offer food service from an expanded kitchen sometime this year. Talking about the history attached to the new building - which includes time spent as a skating rink and once being used as a filming location for the 1981 Robert Duvall film, Tender Mercies - brewery owner Jim Elliot says, "There is great history and awesome memories for many local people of the building we will be remodeling. Our intent is to keep as much of the old place as possible and re-purpose and reuse as much of the interior as we can." Commenting further, Elliot adds, "I am very excited about the new location. The City of Seven Points has been a big supporter of our business and has partnered with us to make this move." Cedar Creek plans to host a Grand Re-Opening on Memorial Day Weekend. Details will be revealed at a later date.